"Outdated platform that hasn't evolved with modern marketing"
Our relationship with our account rep Hannah, who did everything in her power to find ways to help us find some form of success on the platform. She was incredible. They responded to my initial review which I appreciate and have softened some of the language below. Onboarding experience was rough around the edges and integration isn't super user friendly. 1. HubSpot integration requires you to manually map every field. 3. You have to send people to a page hosted on their website. The other option is hosting their form on your own site, but there is no code customization. Both options result in you losing user-level tracking and an inability to track events and goals in Google Analytics. Essentially, you're losing tracking on the effectiveness of your entire webinar program. 4. This also means that they're providing information to BrightTALK, so not only are they going to hear from us, they're going to get emails from their marketing team about other unrelated webinars. 5. Despite selling us the natural fit of their audience, registration numbers were incredibly low. They tried to compensate by giving us 4 premium, mock-live webinars. We tried that once and got 5 signups, one was me, one was a BrightTALK employee. It wasn't even worth the effort to get it live. **UPDATE: They responded to this bullet claiming they got us 50 free leads. I went back to check on the quality and I counted 3 that resembled anything remotely close to our target market. Others included companies like XYZ, Personal, Test, Withheld and a competitor. 7. After all of this and constant back and forth, we decided it wasn't worth the effort to continue using their platform, despite the fact that we had 6 months left on our contract. After informing them of our decision, they responded claiming we have had 28 views on a webinar in 6 months. Half of those views were from internal employees. **UPDATE: They have since followed up. While I don't agree with most of it, I appreciate the follow-up. If you're looking to simply stay afloat, go for it. None. We were trying to drive qualified leads to our webinar program, but that didn't work out. Great feedback, thank you for taking the time to break down your concerns. Our #1 priority is your success, so I have addressed your points below and I'm also available 1:1 per the e-mail I sent you previously. 2. Definitely understood - a few of our customers also want more control of the reg experience and we make our APIs available to our clients so they can. So yes, pushing data from you to BrightTALK and vice versa is totally doable. 3. This one was a bit of a surprise because our clients usually love our modern, HTML5 embeds as they increase conversions by 60%+ and substantially increase time on page. Again, these can also be customized, so not sure where the disconnect was there, but keen to help! 4. BrightTALK takes data privacy and management very seriously (one of our customers recently described us as one of their only GDPR-ready vendors: https://www.brighttalk.com/webcast/7785/323377). That said, I totally get the concern and you're free to completely opt out of the BrightTALK network. Most of our customers don't opt out because it gives them access to millions of buyers who are actively sourcing technology and they know how much their target audience uses BrightTALK to learn and grow. 5. It's frustrating when you put a ton of work into your webinar program and the audience numbers don't reflect the effort. I didn't see any paid audience programs you're working on with us, which is how you get instant results. For organic traffic, it takes some time - when I take away BrightTALK and Salsify subscribers, you actually got 50 free leads, which isn't bad considering your publishing frequency. On your last point around your contract: as soon as I hear back from you I look forward to exploring how we can turn this into a success story. Again, thank you for being so open and honest. "Huge communities, solid platform and top notch service"
The fact that BrightTALK is a community based platform means that we can reach audiences that are not yet on our radar, so in essence they don't just provide a platform but also act as a business development tool. Reporting on viewers and engagement could be improved in that it would be great to have a single consolidated report to show viewings, attachment download, questions, feedback and votes. As a membership organisation with 25 thousand members in EMEA, we are committed and obliged to provide educational opportunities to our audiences. BrightTALK allows us to do just that. With 400-500 viewers (live and on-demand) we also raise sponsorship with the webcasts. Brighttalk's easy to use webinar platform and lead generation programs make it easy to plan and execute high-performing content programs that amplify reach and bring in results. The costs of the programs and CPL can be high at times. Make sure to have BrightTalk research and give you numbers or subscribers in your industries and job title targets so you know your audience is here. Also, if you implement BrightTalk take advantage for the branded automated emails! No more having to draft notices to remind folks their webinar they signed up with is tomorrow or starts in an hour — it's all automated! It reduces sets in the webinar planning process and is a boon for small teams. By coupling lead generation and webinar programs together, we are able to execute with less resources and gain new ways to get our message to new audiences. The on-demand portion gives us one place our partners, customers and prospects can go to learn more in a way they want to consume information, when they want to consume it. "Good tool that has the potential to be great"
I like the ease of being able to distribute our on demand video content. The ability to answer questions during the webinar, and engagement data that gets passed into our marketing automation has also been helpful in being able to better segment the leads we've generated through the platform. The fact that our prospects would need to sign up for a BrightTALK account to watch our webinars on the platform if we were to use it as our primary webinar library. There's also some room for improvement with the Marketo integration, which is a bit more complex than configuring a GoToWebinar or WebEx account. We've been able to easily distribute our content to an audience that wants to consume information in the form of videos, and generate engaged, net new leads that are fed directly into our database for immediate follow up from our sales reps.
"Solid Lead Generation Tool + Webcast Platform"
Previously, we used Go To Webinar for external facing webinars. The reason why we moved to BrightTalk is because it provides in addition to webcasting, access to 1m+ users. Our channel and videos are promoted to other community member that have an interest in our industry/topics/ products. BrightTalk comes with a series of pre-built email that will be automatically triggered off for all event invitations/reminders/follow-ups (very practical). The drawback is that those are BrightTalk branded. If you want to copy and rebrand those emails with your own look and feel, you need to build them from scratch and any changes BrightTalk will make to dynamic tags (existing or new ones such) will need to be manually changed by the admin (you). Make sure that you understand how to customize your channel, use the webcast setup/testing (you want to be ready when you actually launch a real webinar with your prospects/ clients), understand how BrightTalk promotes your content to other users. Ease of use in promoting cross channel our webinar and a deeper access to a targeted audience. "Useful platform for professional growth"
It has a lot of good content and videos available for all kind of positions and software needs in a company. The built of the website, it could look better and the attachments could be more readily available. The titles of the videos could also be more descriptive. Take a look at the resources and recommended courses, useful. Provides content for employees and better understanding of recent products and developments in the industry. Also helping students meet the experts in certain topics of their interest and in their own time. "Easy to use webinar functionality, with excellent on the day support"
Ease of use. You can host engaging webinars with only a telephone line and a computer, and BrightTALK do the rest. They supply their own marketing, giving you the freedom to perfect your presentation and consequently engage with a potentially untapped audience. Fees for multiple edits after webinars are expensive. Audio quality is only as good as the phone line. Not convinced of the effectiveness of BrightTALK's own promotion of individual webinars. A very easy and well supported platform which can give you unparalelled access to a wider audience. The only let down is the cost of editing and the questionable effectiveness of their marketing efforts on generating an audience. Engaging our clients with timely, live material that allows them to connect directly with our brand heroes and ambassadors. 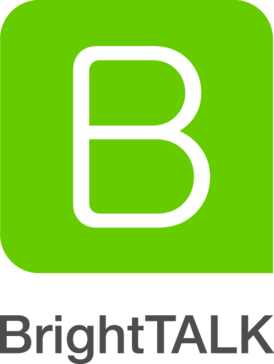 Brighttalk is an easy to use and navigate platform. The biggest asset it brings are their incredible employees. Nick Markwith has set the tone with his team to enable success. Kelly Harris is not only pleasant but a dynamo! The only thing I would change is requiring a login to view co tent. Brighttalk provides a way gor thought leaders to give back to future generations. Their can do attitude inspires me to invite other current and future thoughts leaders to the platform. We have a fiduciary responsibility to provide as much insight as possible to enable others to also reach their full potential. The platform is easy to use, the team who supports us is dedicated and focused on delivering experiences that provide value to the organization. Viewers are actively interested in the events we offer both free and paid promotions. The quarterly business review reflects our success with the platform and our success when compared to others with similar offers. We love BrightTalk! We deliver thousands of leads every month to the sales organization. BrightTalk consumers help us fulfill this requirement and we locate fresh viewers interested in our thought leadership. "It does what you need it to do"
I like that there's a community aspect baked into the platform. You can figure out what category your content fits into, tag your webinars accordingly, and have your on-demand recordings hosted in those channels for people to find. I dislike having to dial in, on my phone, for every webinar. There's no way around this and it's a huge headache, especially for international speakers participating in webinars. It's acts as a decent demand gen. tool and place to host content. Primary benefit is that it has helped us get our pre-existing leads to an MQL status, but it doesn't generate a substantial number of NNLs. "BrightTalk is Easy to Use!" As a webinar producer and as a webinar participant, I find BrightTalk incredibly easy to use ! It would be ideal if bright talk could refine their metrics reports for the webinars. We are solving issues of generating organic leads in whitespace and creating marketing content that is more accessible to all of our audience. "Brighttalk is an amazing tool to reach and educate many audiences"
It is extremely easy to use and a great tool to help educate others for no cost to them. We have had a channel with Brighttalk for 3 years and we have never had any issues. The staff is amazing and the reach out is expansive. We have been able to spread our reach and we have been educating audiences and helping people with their Cyber Security and Threat Intelligence issues for 3 years through Brighttalk and we are so pleased to continue to do so! "BrightTalk Channels is great...if you don't care about security"
I love that there is an easy way to get your content to those that might not be within your existing network. I work in cybersecurity, and the security and APIs/connections with our other products (Marketo, Netsuite, Salesforce) is suspect. Our internal security team would not allow the connection. If security is not your #1 concern, or even in your top 10, then I would say that you are all set. If it is at all a concern, be cautious when switching vendors to BrightTalk. We are going to work with them on a separate project that is geared toward sponsorship programs with BrightTalk and see how that goes, perhaps we can get what we were originally looking for with this, through that. Getting to net new contacts, expanding out target areas. please reach out to me directly as we take security very seriously (not least because we have nearly 2M IT security professionals learning on BrightTALK!). We have a number of Fortune 500 companies in Finance and IT who have taken our technology and related connectors through a thorough security audit. Based on their findings, they are actively using our technology and connectors without any security concerns or issues. "Has opened up so many opportunities for my employees for educational videos. " The amount of educational videos and information is astounding and it has benefited my employees in so many ways. The pc management presentation was eye opening and I am looking forward to discovering more. As of now, nothing! There is so much information from the elite of the industry, how could I complain. Finding new and creative ways for my employees to learn new skills and ways for them to improve their day to day tasks. "More than just a webinar platform"
Beyond their webinar platform and community, BrightTALK also offers creative services around video production. We contracted them to produce various company videos for us. This included having a crew come onsite to direct and film interviews with our employees. The final result was well-polished video content that we could use for marketing purposes. The final product turned out great. The team we worked with was very efficient and great with communication. No major dislikes. Consider BrightTalk for their other services as well. They have a lot of other offerings beyond just their webinar platform. We were unable to produce our own video content and BrightTalk assisted us in better utilizing this channel. "User friendly, Better reports, Easy to setup webinars, upload videos, sheets"
BrightTalk Channels proved information that inspires organizational and operational growth and development through the provision of insights and information. I have nothing negative to say about this product or it’s delivery method, though I would love to see a standalone mobile app like common technical L&D ones such as Udemy. Give it a try. There’s absolutely no reason not to make time to absorb the content available and see how it can help advance the achievement of your organizational goals. BrightTalk content helps with all facets of my organization. From executive leadership methods and practices, to internal technical process and external salesforce optimization, the information and insights are priceless. "BrightTalk is a great option for online webinars!" It's easy to run a webinar through BrightTalk. FIles with contact details for follow-up are detailed. Customer service is also helpful. It's all pretty good. One request would be to have 1 combined master file with the leads. Some clients don't quite know what to do with the 3-5 different files. Go for it! Simple to set up, easy to get reports! We offer value to our audience and help sponsors get their message out to a wide pool. People also like the on-demand feature. Main benefits are keeping our clients happy, and driving traffic to our website. "GREAT Acct Manager / great product"
education and awareness to customers & partners.. Great participation, easy way to do so..
"Good tool with lots of potential!" The ability to answer questions during the webinar. I like the ease of being able to distribute our on demand video content. There's also some room for improvement with the Marketo integration - it is a bit more complex than configuring a WebEx account. We were trying to drive qualified leads to our webinar program, but that unfortunately didn't work out. We have a new self-service connector for Marketo and have had nothing but rave reviews from our customers. Please reach out to your Customer Success Manager and they can help! "Platform crashed minutes before webinar due to BrightTalk technical issues"
Go to a different vendor. Unreliable platform. The platform had "technical issues" minutes before a webinar we had been planning for 6 weeks. They notified our company 3 minutes into the webinar that they were unable to fix the issue and that we would need to reschedule our webinar for later in the day. Further, you are required to login in order to subscribe to a webinar. Huge barrier to entry. We aren't solving any because the platform doesn't work. Thank you for this feedback, how frustrating! Your success is our #1 priority and even with BrightTALK's 99.99% uptime and enterprise-grade reliability, technical issues are no less infuriating when they occur. On this rare occasion, we had a third party provider issue which has been addressed. Please do reach out to me to discuss an acceptable resolution. My e-mail is vgenton at brighttalk.com. "Unreliable platform - horrible experience"
I cannot provide any details about things I like about brighttalk, as we ran ONE webinar with them and they failed miserably. our company leveraged BrightTalk for a big Webinar we were hosting. We drove a ton of attendance to this webinar and AS IT WAS SET TO BEGIN, BrightTalk rescheduled it due to technical difficulties. None - they are costing us business. Thank you for taking the time to provide this feedback, how disappointing! Your success is our #1 priority and even with BrightTALK's 99.99% uptime and enterprise-grade reliability, technical issues are no less infuriating when they occur. There's always room for more registrants/attendees. * We monitor all BrightTALK reviews to prevent fraudulent reviews and keep review quality high. We do not post reviews by company employees or direct competitors. Validated reviews require the user to submit a screenshot of the product containing their user ID, in order to verify a user is an actual user of the product. Hi there! Are you looking to implement a solution like BrightTALK?